Find out more about The Black Country and West Birmingham sustainability and transformation partnership (STP) including details of its population size, constituent organisations and priorities. 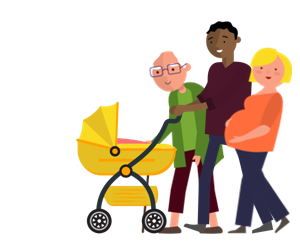 Maternal and infant health – reduce current high levels of infant mortality to bring them in line with the national average, avoiding the death of 34 babies a year. GP and community services – invest an extra £25m in GP services by 2021. Hospital services – the new Midland Metropolitan Hospital will treat over 570,000 people when it opens in 2019 and will be one of a network of hospitals serving the Black Country and offering the right care in the right place at the right time. NHS 111 – ringing one telephone number, the people of the Black Country will be able to book a doctor’s appointment, in evenings and at weekends, get dental advice, order a repeat prescription, or get urgent advice. Mental health services – changes to how health and care services work together will mean those suffering early psychosis will get access to therapy within two weeks. Workforce – build a stronger, more resilient health and care workforce that is able to take advantage of expanded career opportunities across the STP footprint. The following organisations are part of The Black Country and West Birmingham STP. For individual contact details for these organisations, please see the NHS website.